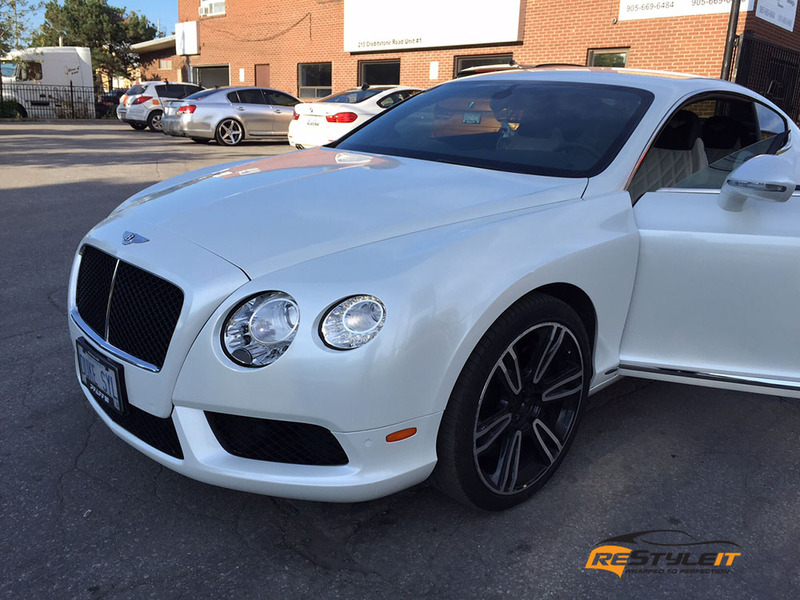 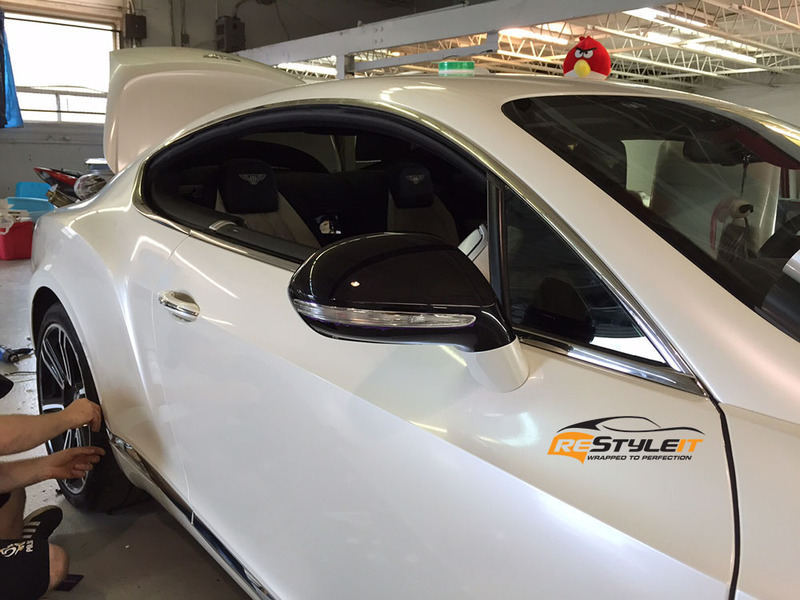 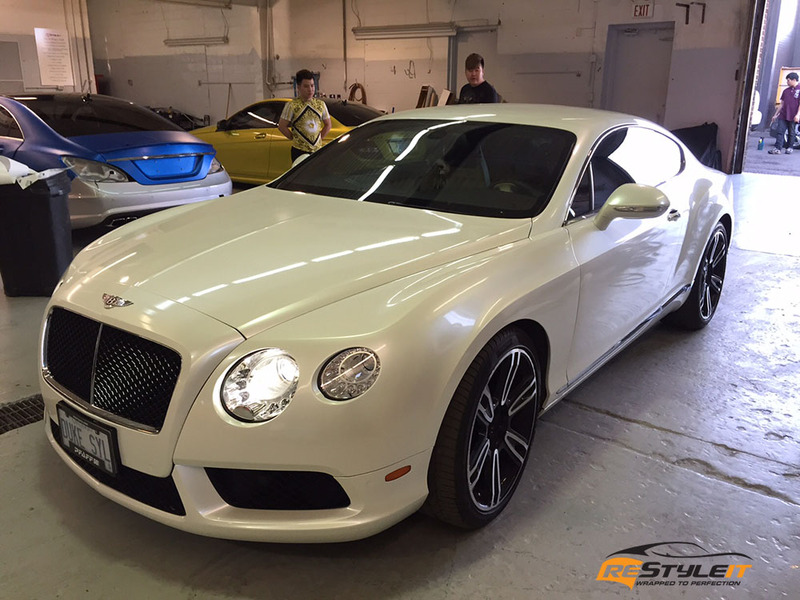 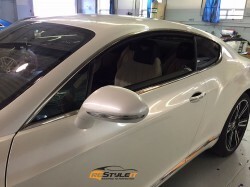 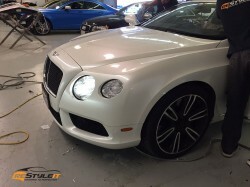 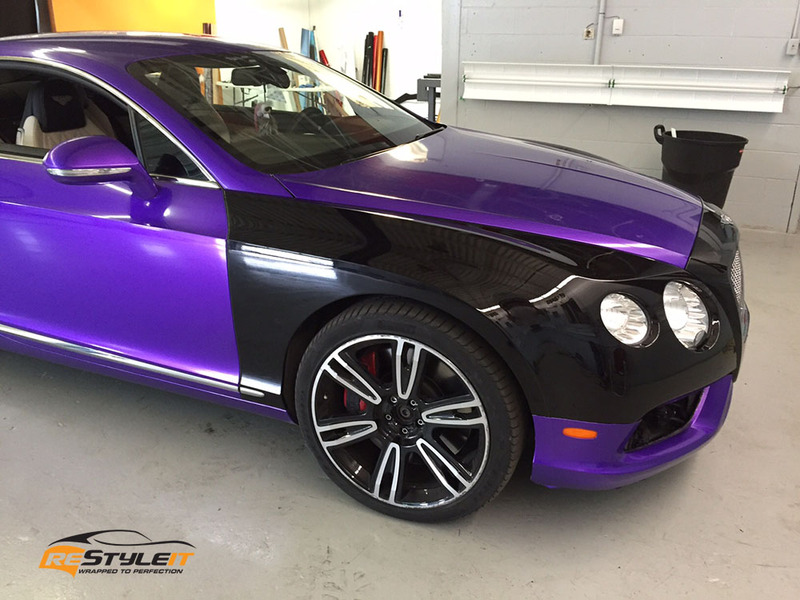 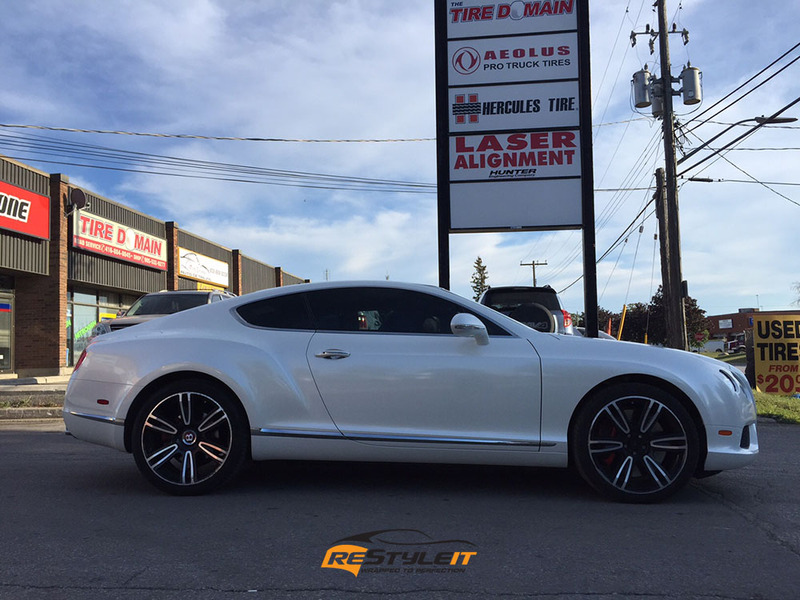 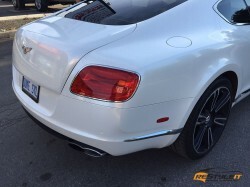 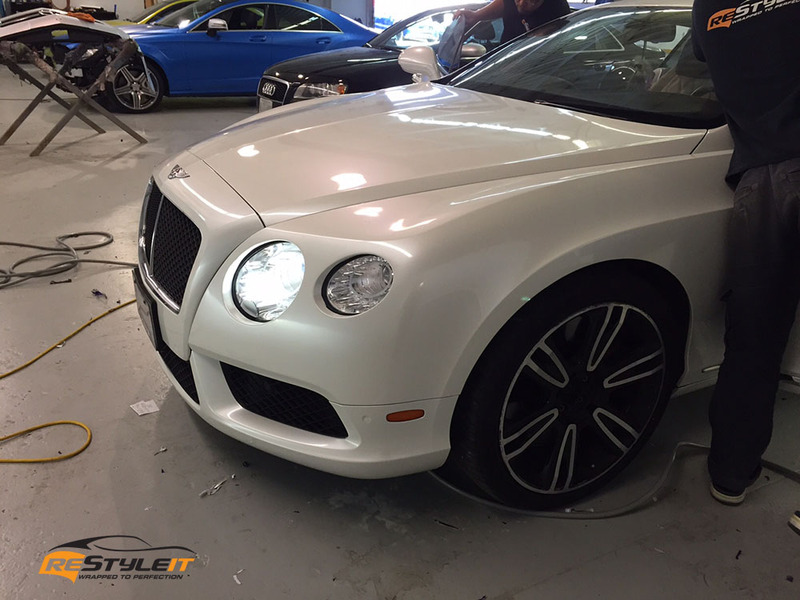 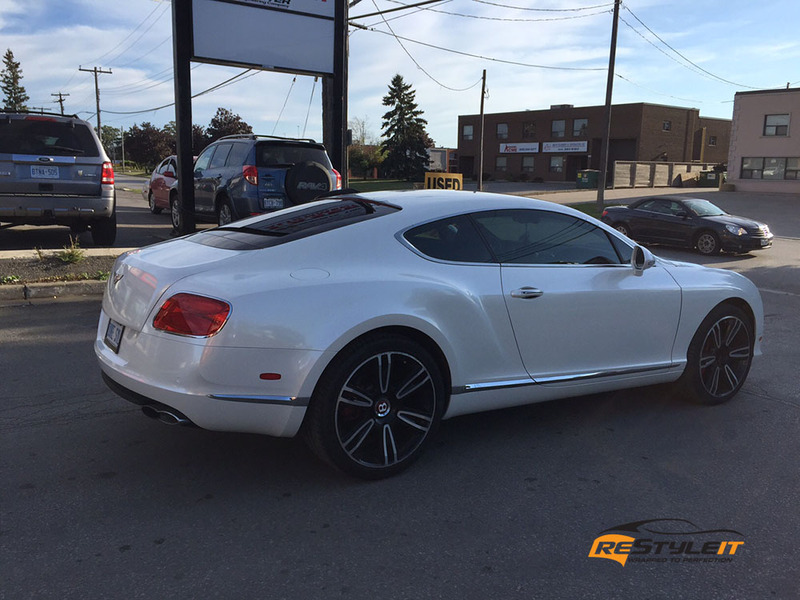 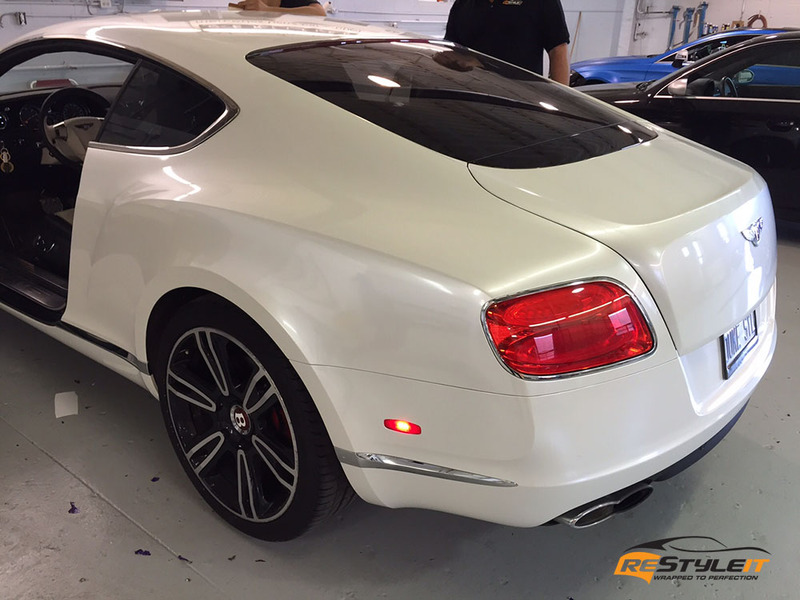 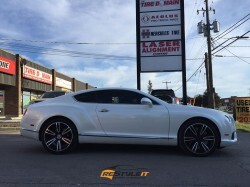 Once black, this Bentley GT got wrapped in Arlon Amethyst, the bright purple finish over a year ago. 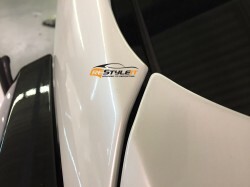 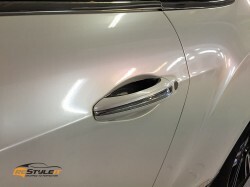 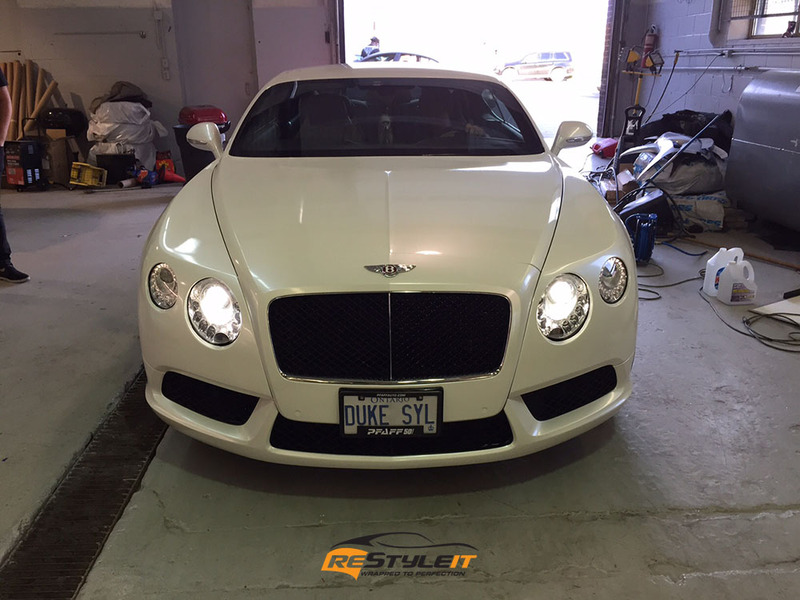 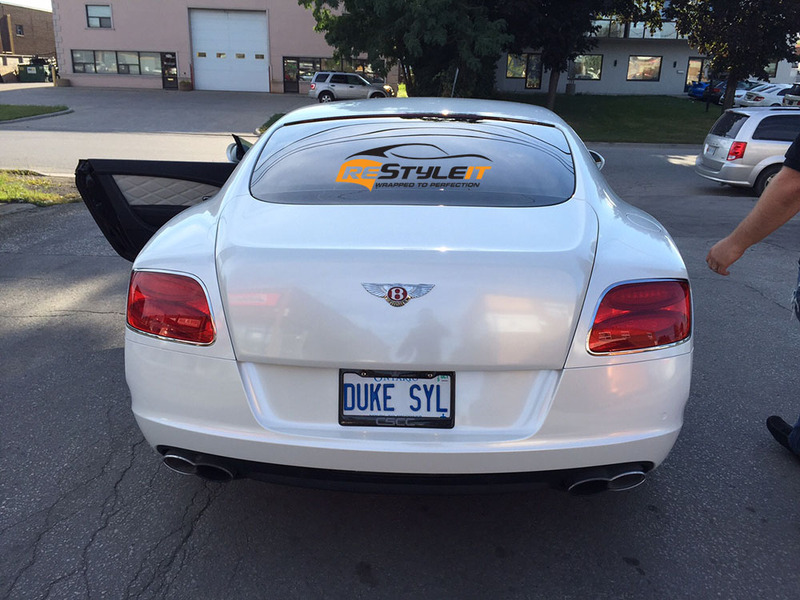 Having driven it for some time, the owner felt like he wanted to changed things up and the Bentley was back in at Restyle It. 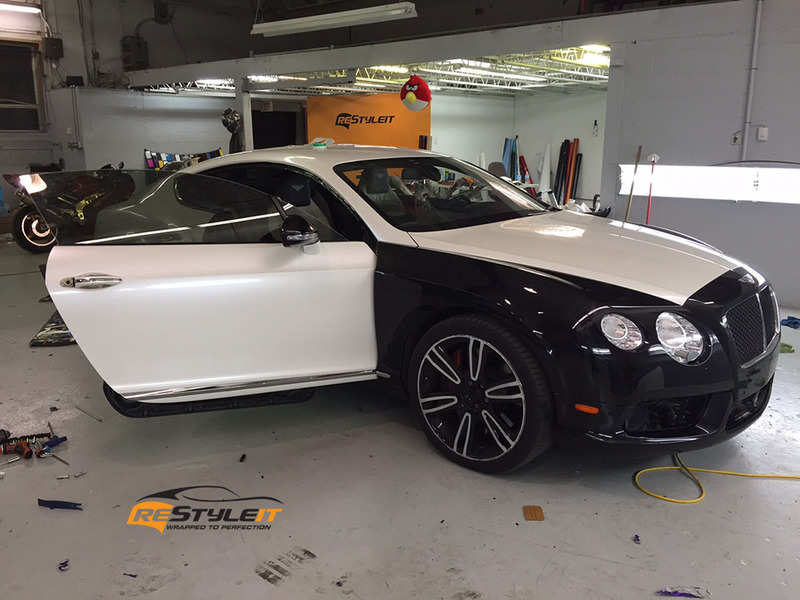 This time around vibrant purple had to come off and we went with Pearl White exterior look. Though purple definitely made it stand out, you can’t go wrong with this fantastic Avery Gloss Pearl White vinyl wrap! 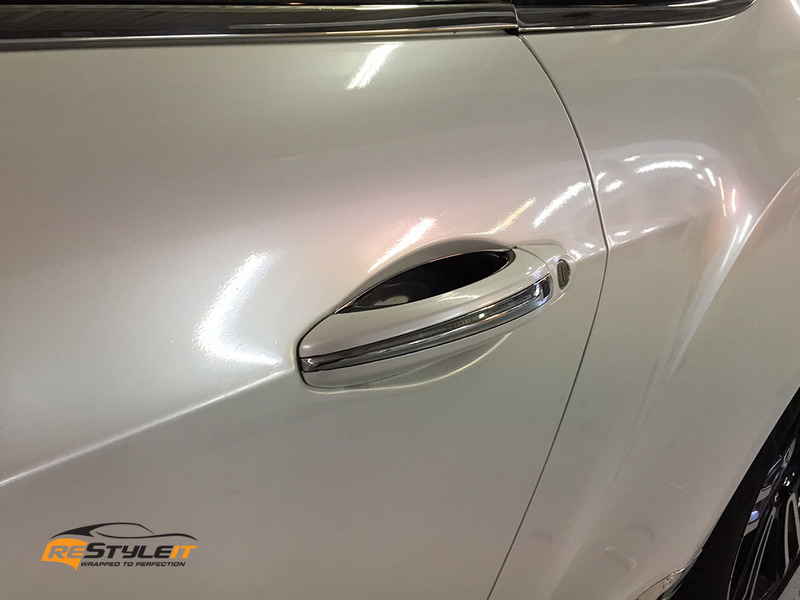 Nice and fresh white is complemented by the pearl effect which makes the car glow whether inside or out in the sun.